about a month ago, a glorious place called the cheese shop opened at the oc mart mix. since we discovered it, husband and i have been obsessed. if they didn't close at 6p, we would probably be making nightly trips over there. 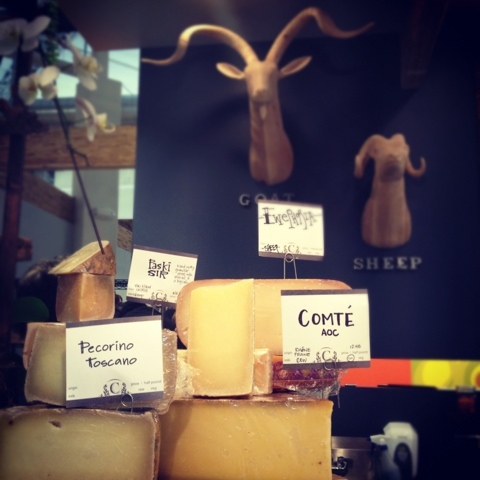 i am by no means a cheese connoisseur, so having someone there to make recommendations and let us sample to our heart's desire was invaluable. and in addition to their great selection of cheeses, they stock all sorts of accompaniments like marinated figs and marcona almonds. 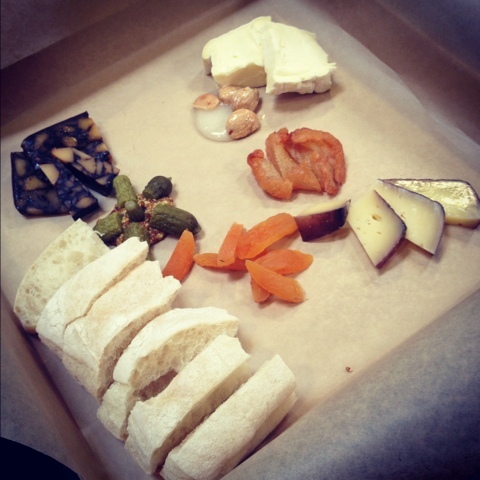 the first time we went, we sampled a mustard cheddar (red dragon) and a brie-like cheese (d'affanois). we were hooked. we came back to try a 3-cheese plate (with the softest ciabatta ever made), but we still came home with red dragon & d'affanois. i'm excited to make these trips a regular saturday afternoon activity, and expand our repertoire of pairings (more on that later).